One of the biggest pros of using a resource planning software instead of spreadsheets is that you can add different users with different user data and different sets of rights. Here, you are going to learn how to edit user data. Only administrators can access the data of other users. Users can see and edit only their own data. The list of all the existing users will appear. All the data associated with the user will appear. For example, type in a new password for the user if they have forgotten it. 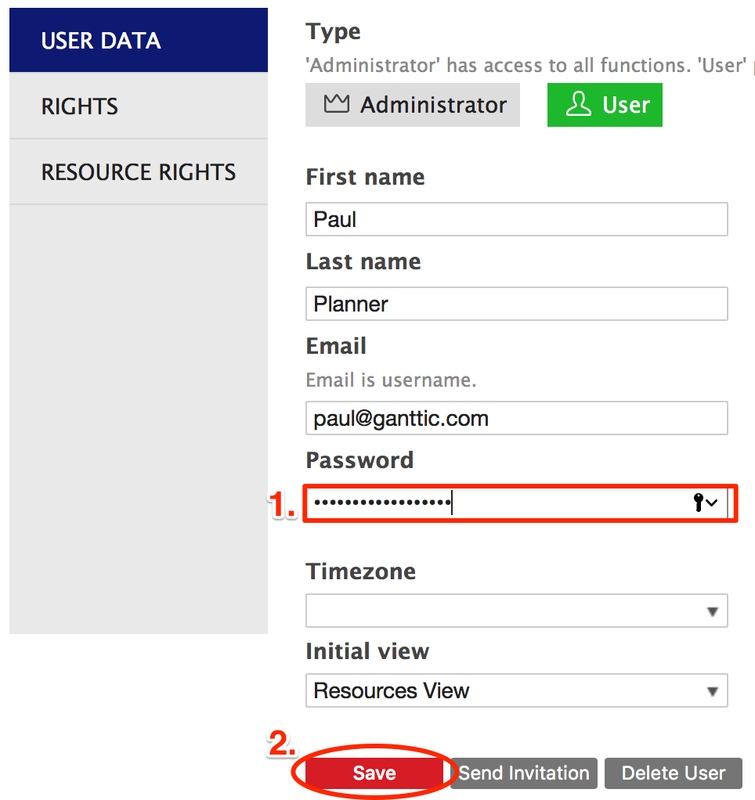 The user can now access the planner with the new password if password. Did not find the answer to your question regarding editing user data?